Wise Business Plans, a leader in the business planning and small business consulting industries, is proud to announce the release of the first titles in its earning guide series. The company's new educational resources were professionally prepared to pack an informative punch without wasting the time of busy business owners, said Director Joseph Ferriolo. "We've been working on our learning series guides for the past year, and a good part of that time was spent researching and understanding what business owners really want in a resource," Ferriolo said. "We found that a lot of other guides or courses include page after page of fluff and jargon that busy entrepreneurs are forced to wade through in order to find the nuggets of information that they really need. We committed ourselves to producing something better, and I think we have done that." 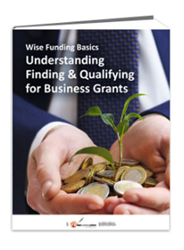 The Wise Learning Series and Wise Business Basics guides include interactive questions and quizzes, as well as easy-to-read, to-the-point information on a variety of topics, including bank and SBA loans, Venture Capitalists, Crowd Funding, alternative forms of funding and even business grants — a topic Ferriolo said many people are uninformed about. "Furthermore, we found that many grant guides offered very little practical information, so we set out to create a learning resource that included solutions, sample proposals and even a list of companies to approach," Ferriolo said. The Wise Learning Series also includes guides geared specifically toward new business owners, new managers and immigrants looking to bolster the U.S. economy by creating jobs while pursuing the American dream. "Many of the visitors to our site are on a fact-finding mission, and they may not be ready to launch a company, but they are looking for information and answers. We want to satisfy that need," Ferriolo said. Rather than taking an everything-and-the-kitchen-sink approach, Ferriolo said his professional editors and writers acted as curators, creating guidebooks that put crucial information at the fingertips of business owners. "These educational resource kits represent hour after hour of research, refinement and review," he said. "We decided early in the process that we weren't going to make business owners wade through a lot of wasted words to find what they need. We respect your time and your business acumen. We wanted to help, not sell or promote something else." When asked what he hopes to achieve with these learning guides, Ferriolo said the company's motivation is simple. "We succeed when our clients succeed." Wise eLearning Resources are available at WiseBusinessPlans.com/e-learning-poducts.html. Wise Business Plans (http://www.wisebusinessplans.com), staffed with professional MBA writers, researchers and financial experts, is a trusted partner for businesses across a broad spectrum of products and services. Our mission is to empower our clients to make the best possible business decisions, boost company performance and facilitate their funding success by laying the groundwork for strong businesses that excite, inspire and retain talented and exceptional employees.